Part three of our series on the technologizing of birth focuses on the caesarean section. Find parts one and two. Over more than a century, natural birth has been progressively undermined and impaired across the Western world and beyond, first impeded through systematic surgical impositions, and then replaced by a synthetic and mechanized process. Crucial to the undermining of natural birth has been a conceptual shift, in which the way a woman’s body naturally facilitates the birth of her child has been presented and regarded as a deadly pathology and primitive aberration that requires the solutions of technological civilization. Natural birth, in other words, came to be thought of as abnormal. Simultaneously central to the artificial alternative was the emerging field of obstetrics, which, amid a societal trend toward standardization and false objectivity, insisted that a woman in labor be an inert object of impersonal, technical interventions. These parallel trends gained traction in the first half of the 20th century, but became entrenched in the post-war world. And the logical culmination of this trajectory is our situation today in which, despite decades of warning and counter-measures, the ultimate surgical intervention—caesarean section—is fast becoming the dominant method of childbirth. 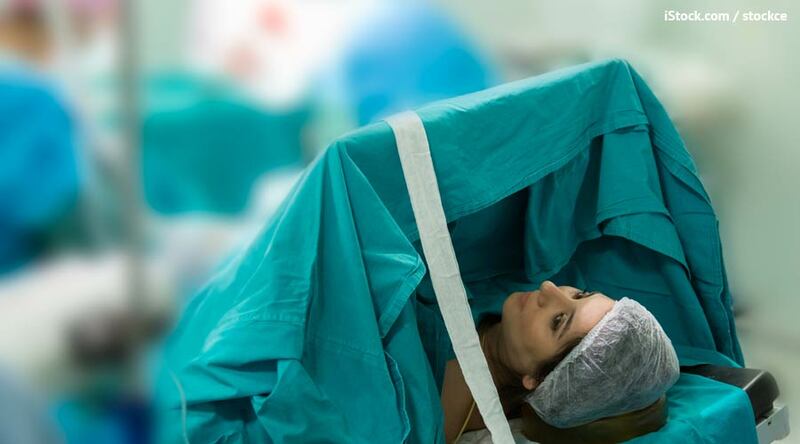 The methods of performing a caesarean section have, of course, greatly improved, and, in this context, there are genuine situations of specific medical need and emergency in which a caesarean section is indeed unanimously regarded as truly necessary and wisely preferable to any form of vaginal birth. But such situations do not come close to accounting for the precipitous increase in caesarean birth over the last 40 years. And like the normalization of obstetric intervention and the enforcement of institutional birth (see parts one and two of this series) caesarean sections have become common in normal pregnancies despite, not because, of the consequences they entail for mother and child. At the heart of this unprecedented development is what the late Mortimer Rosen, former chair of obstetrics at the Columbia Presbyterian Medical Center, described as “the caesarean myth” in his 1989 book of the same name. “Patients and doctors alike have come to believe that caesareans are as safe as vaginal birth,” Rosen commented, describing the misconceptions, “that they are necessary in a wide range of cases, and that they guarantee a good outcome.” A few years earlier, Rosen had chaired a National Institutes of Health (NIH) task force and conference, assembled out of concern about a rate of caesarean sections in America that had risen to 15 percent. It was an increase, as Jennifer Block emphasizes in her excellent volume, Pushed: The Painful Truth about Childbirth and Modern Maternity Care, that “could not be attributed to any increase in maternal risk factors,” and, despite the medical consensus that did and does frown upon medically unnecessary C-sections, surgery births continued to multiply, first in the United States and then across the world. The consistent advice of the World Health Organization (WHO) that national “caesarean section rates higher than 10% are not associated with reductions in maternal and new-born mortality rates” now seems forlorn. “The interconnected messages that there are risks inherent in vaginal birth and that caesarean section provides an assuredly safe avenue no matter the circumstance,” Jacqueline Wolf observes in her new book, Cesarean Section: An American History of Risk, Technology, and Consequence, “have served to normalize the surgery.” There is “the perception that vaginal birth is risky and that caesarean section serves as its infallible guardrail.” While no woman need be afraid about undergoing a C-section that is necessary, the decades-long downplaying of the reality of a C-section for a healthy mother and child has—akin to the earlier discrediting of midwives and white-washing of interventionist child-birth—boosted a trend through deception. It is astonishing that so many are being lightly pushed into what Shah emphasizes is “a major abdominal surgery” that not only “can lead to threefold higher rates of serious complications for mothers compared to vaginal delivery (2.7% vs 0.9%),” but, as Wolf adds, “full-term infants delivered by caesarean despite no medical need have a death rate almost three times their vaginally born counterparts.” As Milly Redden has written in The Guardian, “Compared with women having a vaginal birth, those having a C-section for the first time have 3.1 times greater risk of blood transfusions, a 5.7 times greater risk of an unplanned hysterectomy and a six times greater risk of being admitted into intensive care.” Again, the point is not to frighten anyone in the way women have been long threatened regarding natural birth—most C-sections end well. But this is not a utopian, risk-free shortcut to a healthy mother and child. 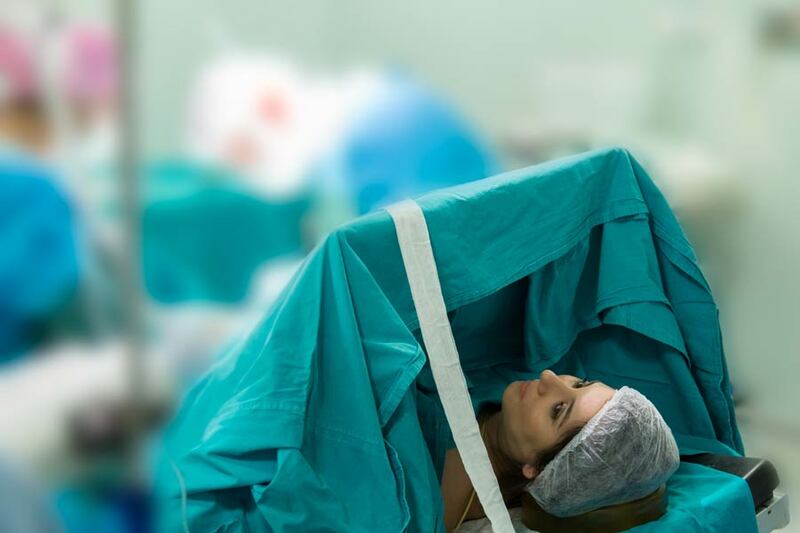 Even when caesarean sections end well, as they normally do, there are other serious consequences which are commonly overlooked. First, the highly significant first-day connections between mother and child are precluded, as with other interventionist birth methods (see part one, “The Death of Natural Childbirth”). Second, recovery for the mother is usually longer and harder, as the serious surgery leaves them debilitated while they tend to a newborn. Third, children unnecessarily delivered by a surgeon are also needlessly deprived of the preparation for life that a vaginal delivery naturally affords them. Describing the medical research of Lucky Jain of Emory University, Block explains that during spontaneous vaginal birth, “hormones are released that prime the lungs for air”—this is in addition to “the squeezing effect of the birth canal [which] helps purge the lungs of excess fluid.” By contrast, a baby delivered by C-section, before the start of spontaneous labor, enters the world with lungs still full of amniotic fluid, making, as Jain and Ashwin Ramachandrappa note, “the transition to air breathing more difficult.” Although resulting respiratory difficulties are usually temporary, “a significant number of infants progress to severe respiratory failure.” Furthermore, Shah reports, “exposure to normal bacteria in the birth canal may play a role in the development of a baby’s immune system. A Danish study of two million children born at full term found that those born by caesarean were significantly more likely to develop chronic immune disorders.” As the caesarean epidemic translates into an altered adult population, we are almost certainly only beginning to understand the long-term effects. The pernicious effect of lawsuits is also both heightened and perpetuated by the near universal use in America of continuous cardiotocography (CTG) strips, a fetal heart monitoring technique that, in addition to restricting the movement of women and thereby making their labor more difficult, are an extremely unreliable guide to the dangerous distress of a baby being born. As physician Joe Haley told Morris, if a doctor feels the need to perform a caesarean section on the basis of information from the CTG strip, “you’re going to be wrong 98 to 99 percent of the time. The baby is going to be fine.” But in the one percent of occasions where the strip accurately reports dangers, if a doctor does not respond by quickly reverting to C-section and the baby dies or is born with health problems, that physician will be exposed to a crippling lawsuit, even if a C-section was not the best response to the danger. Yet even this cruel and unhealthy situation is an insufficient explanation. The idea that childbirth interventions are more responsible, even when they are actually more dangerous, is a foundational cause that lies behind secondary causes, like litigation. Once a hospital or community or society has pathologized natural birth—fearing it as an inherently dangerous malady—and has embraced the dehumanizing interventions that physically and emotionally separate a woman from her newborn, then a logical, ethical, and economic path has been prepared for the inexorable rise of birth through surgery. Malpractice litigation that cows American doctors into quickly reverting to a C-section is merely one way of implementing this logic. This is particularly evident in the way that a cascade of interventions—in which interventions during child-birth make further interventions more likely—increasingly includes C-sections as the final step. Morris aptly describes this cascade as a conveyor belt. “Women may jump or be pushed onto this conveyor belt at a number of points, but once they’re on it, they may find it hard to get off until they come to the end of the process.” The increasing rates and effects of inducing labor (see part two of this series, “The Death of Natural Childbirth”) have increased caesareans, despite some mistakenly positive expectations about chemical induction. “Doctors soon found out that chemically inducing labors increased,” Wolf relates, “rather than decreased, the likelihood of caesarean birth.” Indeed, Morris reports, “women whose labors are induced are twice as likely to have a C-section as those women whose labor begin spontaneously.” Epidurals, which make child-birth more difficult by obstructing a woman’s natural means of facilitating labor, encourage a host of other interventions, including surgical birth. “Women who receive epidurals are also more likely to have a C-section for fetal distress,” according to Morris, and the same outcome is encouraged because “epidurals increase the length of the second stage of labor (pushing the baby out),” thereby heightening the nervousness in doctors which increasingly persuades them to resort to a caesarean solution. The routine caesarean is the apogee of the thinking that killed natural birth: an emergency surgery applied to all. Once you have condemned the natural and spontaneous as abnormal, declaring the commonplace to be an emergency, then you must routinely apply the procedures previously reserved for the truly dangerous situations. This is what hospitalization, forceps deliveries, and episiotomies all represented before obstetricians insisted, against the evidence, that they were widely necessary. So it is with the caesarean section. Today, “If ‘normal’ means being induced, immobilized by wires and tubes, sped up with drugs, all the while, knowing that there’s a good chance of surgery,” Block perceptibly summarizes, “well, might as well just cut to the chase, so to speak. ‘Just give me the caesarean,’ some are saying. And who can blame them. They want to avoid what they think of as normal birth.” After many decades of both making women fear natural childbirth and implementing an astonishing technological replacement as the new normal, we are in the process of making cutting into a pregnant woman and pulling the baby from her womb another new normal, while complacently and arrogantly turning our backs on the cost. The only way to permanently and decisively reverse the rise of unnecessary caesarean sections is to restore natural birth to its proper place at the normalized center of childbirth. Routine caesarean sections for healthy mothers and children simply cannot exist alongside a wide re-acceptance that the spontaneous emergence of a child from the womb is a normal and healthy process. A woman has been superbly enabled by her physiology, brain, and hormones to instinctively and successfully give birth—without manhandling and machinery—according to her own rhythms and timing. This is precisely what the embattled Hungarian midwife Ágnes Geréb has so poignantly been devoted to over many years—and what will be examined in the conclusion of this series.